Living with Diabetes is challenging. Constantly checking your Blood Sugar levels, quarterly Dr. appointments, and watching EVERY little thing you put into your body. But did you know that many people with Diabetes feel that they can’t even qualify for life insurance coverage, or if they do, they think the premiums will be too expensive? In early 2018, Diabetes 365 conducted a survey alongside several Diabetes groups and its members. Nearly 20,000 people with Diabetes shared their thoughts about life insurance. Almost 50% of them thought they wouldn’t be declined. Another 47% assumed their rates would be 3 to 5 times higher compared to people without the disease. Sadly, these thoughts are all too common within the Diabetes community. The fact is life insurance for diabetics is obtainable, and more affordable than you realize. In this article, we’ll discuss three ways people with diabetes can save money, on life insurance. When it comes to diabetes, and life insurance, technology is your friend! Now what exactly do we mean, by using technology? First, if you have Type 1 Diabetes, using an insulin pump to administer your insulin, is viewed favorably by certain life insurance carriers. This may save you anywhere from 6% to 25% annually on your premiums. Second, using a CGM ( controlled glucose monitoring system) not only helps you manage your disease better, but again will aid you in getting lower life insurance premiums. 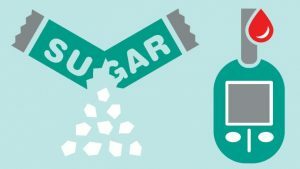 Carriers may lower your premiums by 25% by using this form of diabetes related technology. Third, use Fitbit or other activity monitoring devices. Life insurance companies are beginning to reward people who are active, and who are willing to share their daily activities data. Depending on your activity levels, and overall health, companies may offer 3% to 6%. I know this may seem insignificant, but over the course of let’s say a 30 year term policy, this may be a savings of $2,000 to $4000. This term means a lot of different things, to different people. 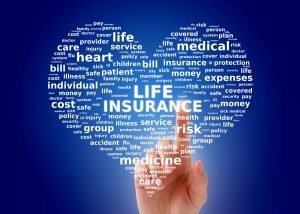 We will break it down, in terms of what life insurance companies are looking for. If you can show an insurance company that you have ideal control of your diabetes, there’s a good chance your life insurance policy won’t cost more, compared to a person without the disease. See an endocrinologist. Have an exercise and diet regimen. Follow doctors orders. Take your diabetes medications as prescribed. Doing all of these things shows life insurance companies you are ‘tackling’ your condition. In return they will reward you with better life insurance premiums. Let’s take a real life example, of a person with diabetes. Male, age 40, Type 2 Diabetes onset age 35. He is 6’2” and 225 lbs., a non tobacco user, exercises 3 to 4 times weekly, watches diet, and his A1C is 7.3. He sees an endocrinologist quarterly, and checks blood sugar levels 3-4 times daily. He would qualify for a 30 year $250,000 level term life insurance policy for about $600 annually. Let’s compare this to a similar health profile. Male, age 40, Type 2 Diabetes onset age 35. He is 6’2” and 245 lbs, a non tobacco user, doesn’t exercise regularly, doesn’t watch his diet, and his A1C is 7.7. He only sees a doctor once a year, and checks blood sugar levels 1-2 weekly. He would qualify for a 30 year $250,000 level term life insurance policy for about $900 annually. With this sample health profile, the person who is handling his diabetes, and overall health better would save $9000 over life of the policy. Pretty substantial in our eyes. A few lifestyle changes, and you’d be able to pocket thousands of dollars. Not all life insurance companies are created, and neither are all agents or agencies. Any time you have a chronic illness, such as type 1 or 2, you really need to work with a specialist. If you want competitive prices for your diabetes life insurance, it is in you best interest to not work with an agent, who only represents ONE company. When applying for life insurance with diabetes, it’s generally ideal to have an agent who can offer multiple life insurance carriers. Not only should your agent have access to multiple companies, but they need to be able to ‘shop’ your health profile to multiple companies. 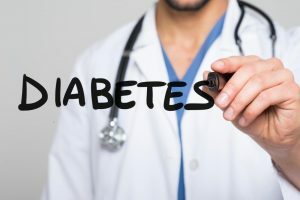 Since insurance companies will all view your diabetes and health profile differently, it is imperative to have multiple offers to choose from when applying. Company A could approve you with no problems. But Company B would also approve you, at lower rates, and maybe offer ‘free riders’ to the policy that would be favorable to you and your family. Some insurance policies come with ‘living benefit’ riders for diabetics at no extra charge. Having an agent who specializes in the diabetes community is a must, when applying for life insurance. Don’t make the same mistake as several other diabetics do. Don’t think that you can’t obtain affordable life insurance. You’ll have several options available to you. Life insurance is an important form of protection for you and family. Don’t let misconceptions detour you from obtaining coverage.